Hildegard of Bingen wrote that “there is nothing sadder than a drooping soul”. What’s needed is the “greening power” of prayer. As parish ministers, we are often good at telling others to slow down and make room for God. Then comes an opportunity to take a day of reflection, and we decide we are too busy to attend. Whose soul is drooping now? 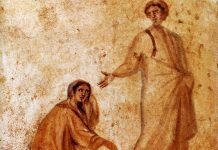 Perhaps the biggest “pep talk” of all was given by Jesus to his disciples when he urged them to go into their own rooms, close the door, and pray to God in quiet. He also modeled this by going off by himself on a regular basis. This gave him the stamina to deal with the incessant cries for healing, the criticism from religious leaders, and the suffering that lay ahead of him. Imagine the words Jesus would offer to you when you feel spiritually depleted. They are sure to be ones of encouragement and hope as well as gentle reminders to tend to the greening of your soul. TO DO» Seek out a spiritual director, advisor, or companion-someone who will help you tend to the greening of your soul. Meet regularly as a way to maintain an active spiritual life. TO PRAY» Holy God, draw me deeper into your heart so that, through intimacy with you, I will keep my soul refreshed and my heart open. 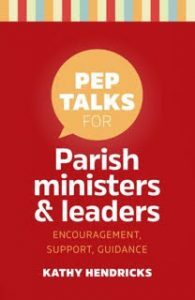 Excerpted from Pep Talks for Parish ministers & leaders by Kathy Hendricks. 2016. 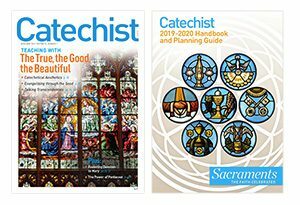 Published by Twenty-Third Publications. Used with permission. All rights reserved.